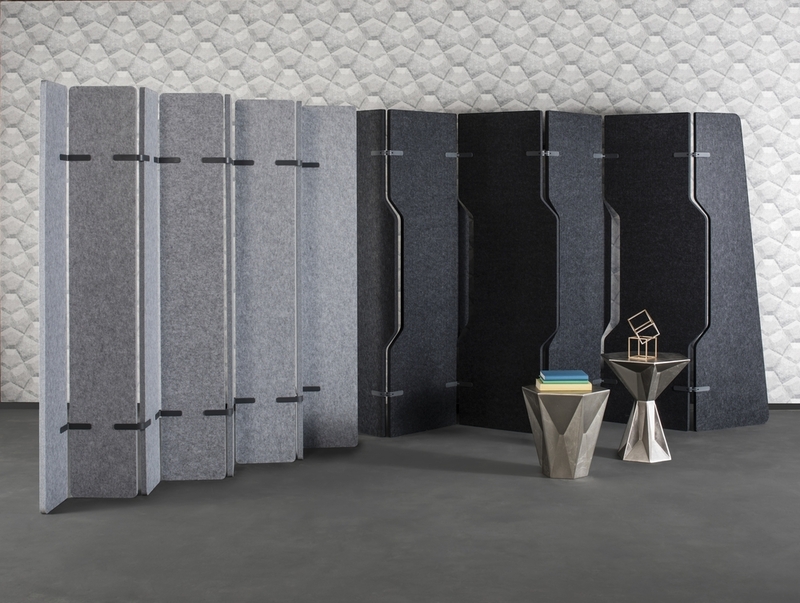 EchoPanel acoustic room dividers can be custom configured to create as much or little partition as your space requires. Available in a range of greys, charcoals and green and the option of copper joiners, these acoustic dividing screens compliment any interior while serving the purpose of absorbing travelling sound waves. Wrap, Paling and Platoon are all incredibly lightweight and easy to manoeuvre, made of 60% recycled PET fibres, are pinable and have a felt like finish. Contact The Collective to find out more information or download the product brochure here.